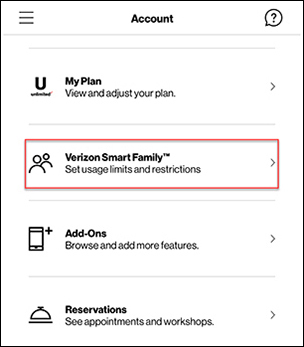 ensure the My Verizon app is installed and up to date as the following steps apply to the most recent version. have an Android™ device running 4.0 or higher or an Apple® iOS device running 10.0 or higher. For all other devices, visit verizonwireless.com to sign in and manage your account. 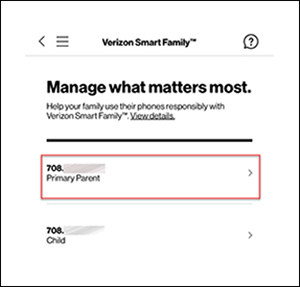 sign in using a My Verizon user ID or mobile number that has Account Owner or Manager access privileges. ensure the child device is powered off prior to adding or removing blocks, restrictions, limits, etc. Changes to these items may take up to 15 minutes to appear on your account. 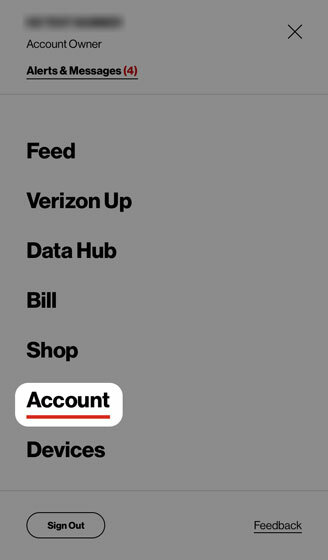 From the My Verizon app, tap the Menu icon ( upper-left). Select the appropriate mobile number. Tap Add contact (at the bottom). 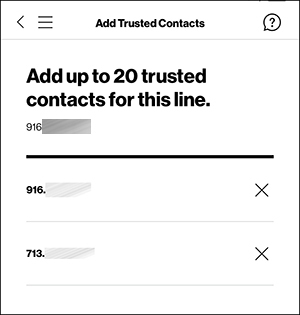 You can add up to 20 trusted contacts per line. From the Phone Number field, enter the 10-digit number. 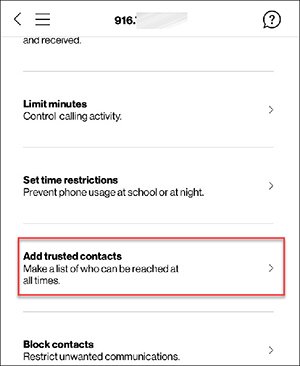 To remove a trusted contact, tap the X icon to the right of the corresponding number then tap Confirm. For additional info on the My Verizon app, check out these FAQs.